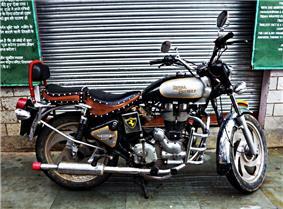 A motorcycle (also called a motorbike, bike, moto or cycle) is a two or three wheeled motor vehicle. Motorcycle design varies greatly to suit a range of different purposes: long distance travel, commuting, cruising, sport including racing, and off-road riding. Motorcycling is riding a motorcycle and related social activity such as joining a motorcycle club and attending motorcycle rallies. In 1894, Hildebrand & Wolfmüller became the first series production motorcycle, and the first to be called a motorcycle. In 2012, the three top motorcycle producers globally by volume were Honda, Bajaj Auto, and Hero MotoCorp. According to the United States Department of Transportation the number of fatalities per vehicle mile traveled was 37 times higher for motorcycles than for cars. There are three major types of motorcycle: street, off-road, and dual purpose. 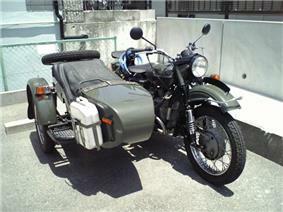 Within these types, there are many different sub-types of motorcycles for many different purposes. 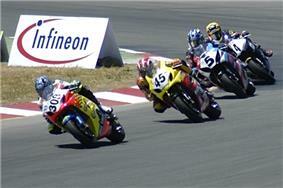 There is often a racing counterpart to each type, such as road racing and street bikes, or motocross and dirt bikes. Another early internal combustion, petroleum fueled motorcycle was the Daimler Reitwagen. It was designed and built by the German inventors Gottlieb Daimler and Wilhelm Maybach in Bad Cannstatt, Germany in 1885. This vehicle was unlike either the safety bicycles or the boneshaker bicycles of the era in that it had zero degrees of steering axis angle and no fork offset, and thus did not use the principles of bicycle and motorcycle dynamics developed nearly 70 years earlier. Instead, it relied on two outrigger wheels to remain upright while turning. The inventors called their invention the Reitwagen ("riding car"). It was designed as an expedient testbed for their new engine, rather than a true prototype vehicle. 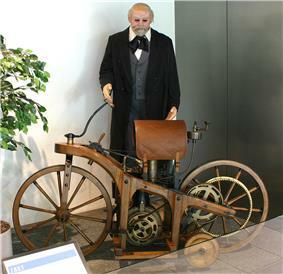 Many authorities who exclude steam powered, electric or diesel two-wheelers from the definition of a motorcycle, credit the Daimler Reitwagen as the world's first motorcycle. If a two-wheeled vehicle with steam propulsion is considered a motorcycle, then the first was the French Michaux-Perreaux steam velocipede of 1868. This was followed by the American Roper steam velocipede of 1869, built by Sylvester H. Roper Roxbury, Massachusetts. Roper demonstrated his machine at fairs and circuses in the eastern U.S. in 1867, and built a total of 10 examples. Diagram of 1894 Hildebrand & Wolfmüller. At the turn of the century the first major mass-production firms were set up. 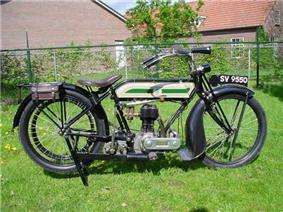 In 1898, Triumph Motorcycles in England began producing motorbikes, and by 1903 it was producing over 500 bikes. Other British firms were Royal Enfield, Norton and Birmingham Small Arms Company who began motorbike production in 1899, 1902 and 1910, respectively. Indian began production in 1901 and Harley Davidson was established two years later. By the outbreak of the First World War, the largest motorcycle manufacturer in the world was Indian, producing over 20,000 bikes per year. During the First World War, motorbike production was greatly ramped up for the war effort to supply effective communications with front line troops. Messengers on horses were replaced with despatch riders on motorcycles carrying messages, performing reconnaissance personnel and acting as a military police. American company Harley-Davidson was devoting over 50% of its factory output toward military contract by the end of the war. The British company Triumph Motorcycles sold more than 30,000 of its Triumph Type H model to allied forces during the war. With the rear wheel driven by a belt, the Model H was fitted with a 499 cc (30.5 cu in) air-cooled four-stroke single-cylinder engine. It was also the first Triumph without pedals. After World War II, the Birmingham Small Arms Company became the largest producer of motorcycles in the world, producing up to 75,000 bikes per year in the 1950s. The German company NSU held the position of largest manufacturer from 1955 until the 1970s. From the 1960s through the 1990s, small two-stroke motorcycles were popular worldwide, partly as a result of East German Walter Kaaden's engine work in the 1950s. In the 21st century, the motorcycle industry is mainly dominated by Japanese companies. In addition to the large capacity motorcycles, there is a large market in smaller capacity (less than 300 cc) motorcycles, mostly concentrated in Asian and African countries. An example is the 1958 Honda Super Cub, which went on to become the biggest selling vehicle of all time, with its 60 millionth unit produced in April 2008. Today, this area is dominated by mostly Indian companies with Hero MotoCorp emerging as the world's largest manufacturer of two wheelers. Its Splendor model has sold more than 8.5 million to date. Other major producers are Bajaj and TVS Motors. 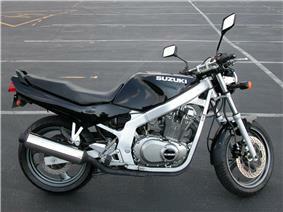 A Suzuki GS500 with a clearly visible frame (painted silver). Motorcycle construction is the engineering, manufacturing, and assembly of components and systems for a motorcycle which results in the performance, cost, and aesthetics desired by the designer. With some exceptions, construction of modern mass-produced motorcycles has standardised on a steel or aluminium Motorcycle frame, telescopic forks holding the front wheel, and disc brakes. Some other body parts, designed for either aesthetic or performance reasons may be added. A petrol powered engine typically consisting of between one and four cylinders (and less commonly, up to eight cylinders) coupled to a manual five- or six-speed sequential transmission drives the swingarm-mounted rear wheel by a chain, driveshaft or belt. Motorcycle fuel economy varies greatly with engine displacement and riding style ranging from a low of 29 mpg-US (8.1 L/100 km; 35 mpg-imp) reported by a Honda VTR1000F rider, to 107 mpg-US (2.2 L/100 km; 129 mpg-imp) reported for the Verucci Nitro 50 cc scooter. A specially designed Matzu Matsuzawa Honda XL125 achieved 470 mpg-US (0.50 L/100 km; 560 mpg-imp) "on real highways – in real conditions." Due to low engine displacements (100 cc–200 cc), and high power-to-mass ratios, motorcycles offer good fuel economy. Under conditions of fuel scarcity like 1950s Britain and modern developing nations, motorcycles claim large shares of the vehicle market. A 2013 survey of 4,424 readers of the US Consumer Reports magazine collected reliability data on 4,680 motorcycles purchased new from 2009 to 2012. The most common problem areas were accessories, brakes, electrical (including starters, charging, ignition), and fuel systems, and the types of motorcycles with the greatest problems were touring, off road/dual sport, sport-touring, and cruisers. There were not enough sport bikes in the survey for a statistically significant conclusion, though the data hinted at reliability as good as cruisers. These results may be partially explained by accessories including such equipment as fairings, luggage, and auxiliary lighting, which are frequently added to touring, adventure touring/dual sport and sport touring bikes. Trouble with fuel systems is often the result of improper winter storage, and brake problems may also be due to poor maintenance. Of the five brands with enough data to draw conclusions, Honda, Kawasaki and Yamaha were statistically tied, with 11 to 14% of those bikes in the survey experiencing major repairs. Harley-Davidsons had a rate of 24%, while BMWs did worst, with 30% of those needing major repairs. There were not enough Triumph and Suzuki motorcycles surveyed for a statistically sound conclusion, though it appeared Suzukis were as reliable as the other three Japanese brands while Triumphs were comparable to Harley-Davidson and BMW. Three fourths of the repairs in the survey cost less than US$ 200 and two thirds of the motorcycles were repaired in less than two days. In spite of their relatively worse reliability in this survey, Harley-Davidson and BMW owners showed the greatest owner satisfaction, and three fourths of them said they would buy the same bike again, followed by 72% of Honda owners and 60 to 63% of Kawasaki and Yamaha owners. Motorcycles must be leaned in order to make turns. This lean is induced by the method known as countersteering, in which the rider momentarily steers the handlebars in the direction opposite of the desired turn. 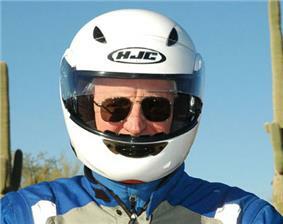 This practice is counter-intuitive and therefore often confusing to novices – and even many experienced motorcyclists. Such short wheelbase motorcycles as sport bikes can generate enough torque at the rear wheel, and enough stopping force at the front wheel, to lift the opposite wheel off the road. These actions, if performed on purpose, are known as wheelies and stoppies respectively. If carried past the point of recovery the resulting upset is known as an "endo" (short for "end-over-end"), or "looping" the vehicle. 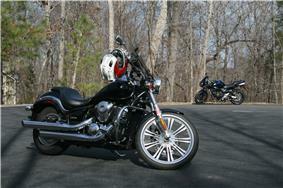 Various features and accessories may be attached to a motorcycle either as OEM (factory-fitted) or after-market. Such accessories are selected by the owner to enhance the motorcycle's appearance, safety, performance, or comfort, and may include anything from mobile electronics to sidecars and trailers. Motorcycles have a higher rate of fatal accidents than automobiles or trucks and buses. United States Department of Transportation data for 2005 from the Fatality Analysis Reporting System show that for passenger cars, 18.62 fatal crashes occur per 100,000 registered vehicles. For motorcycles this figure is higher at 75.19 per 100,000 registered vehicles – four times higher than for cars. The same data shows that 1.56 fatalities occur per 100 million vehicle miles travelled for passenger cars, whereas for motorcycles the figure is 43.47 which is 28 times higher than for cars (37 times more deaths per mile travelled in 2007). Furthermore for motorcycles the accident rates have increased significantly since the end of the 1990s, while the rates have dropped for passenger cars. The two major causes of motorcycle accidents in the United States are: motorists pulling out or turning in front of motorcyclists and violating their rights-of-way, and motorcyclists running wide through turns. The former is sometimes called a SMIDSY, an acronym formed from the motorists' common response of "Sorry mate, I didn't see you". The latter is more commonly caused by operating a motorcycle while intoxicated. Motorcyclists can anticipate and avoid some of these crashes with proper training, increasing their visibility to other traffic, keeping the speed limits, and not consuming alcohol or other drugs before riding. The United Kingdom has several organisations dedicated to improving motorcycle safety by providing advanced rider training beyond what is necessary to pass the basic motorcycle licence test. 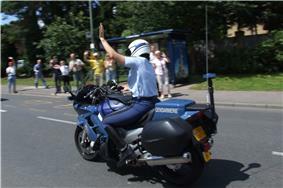 These include the Institute of Advanced Motorists (IAM) and the Royal Society for the Prevention of Accidents (RoSPA). Along with increased personal safety, riders with these advanced qualifications may benefit from reduced insurance costs. In the UK and some Australian jurisdictions, such as Victoria, New South Wales, the Australian Capital Territory, Tasmania and the Northern Territory, it is compulsory to complete a basic rider training course before being issued a Learners Licence, after which they can ride on public roads. ^ Foale, Tony (2006). Motorcycle Handling and Chassis Design. Tony Foale Designs. pp. 4–1. ^ Cossalter, Vittore (2006). Motorcycle Dynamics. Lulu. ^ "motorcycle (vehicle)". Encyclopedia Britannica. ^ Long, Tony (30 August 2007). 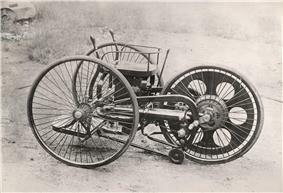 "Aug. 30, 1885: Daimler Gives World First 'True' Motorcycle". ^ a b c Kresnak, Bill (2008). Motorcycling for Dummies. ^ Youngblood, Ed (June 2001). "The Rise and Fall". American Motorcyclist 55 (6) (American Motorcyclist Assoc). ^ Ian Chadwick. 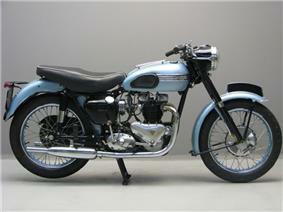 "Triumph Motorcycles timeline". ^ Prashad, Sharda (16 April 2006). "HOG WILD; U of T professor Brendan Calder is one of the legions of baby boomers who have helped to ensure the success of the Harley-Davidson brand name, not to mention its bottom line.". Toronto Star (Toronto, Ont.). p. A.16. ^ Cato, Jeremy (8 August 2003). "Harley-Davidson at 100". The Vancouver Sun (Vancouver, B.C.). p. E.1.Fro. ^ de Cet, Mirco (2002). The illustrated directory of motorcycles. MotorBooks/MBI Publishing Company. p. 128. ^ Willoughby, Vic (1982). Exotic Motorcycles. London: Osprey Publishing, Ltd.
^ Ed Youngblood. "Motocross goes International, 1947 through 1965". The History of Motocross, Part Two, Motorcycle Hall of Fame Museum. Retrieved 29 June 2007. ^ "Hero Honda splendor sells more than 8.5 million units". indiacar.net. Retrieved 10 August 2008. ^ "Total Motorcycle Fuel Economy Guide". Total Motorcycle Website. Retrieved 14 August 2006. ^ "Verucci Gas Scooters". Gekgo Worldwide, www.gekgo.com. Retrieved 15 August 2006. ^ Gaetano, Cocco (2004). Motorcycle Design and Technology. Minneapolis: MotorBooks/MBI Publishing Company. pp. 34–35. ^ Joel Fajans (July 2000). "Steering in bicycles and motorcycles" (PDF). American Journal of Physics, 68 (7): 654–59. ^ "The 'sorry mate I didn't see you' campaign". South Gloucestershire Council. Retrieved 21 May 2008. ^ Hurt, H.H., Ouellet, J.V. and Thom, D.R. (January 1981). "The Hurt Report". Technical Report, Volume 1, Traffic Safety Center, University of Southern California. Retrieved 16 May 2007. ^ "TAS Learner Licence". Department of Infrastructure, Energy and Resources, http://www.transport.tas.gov.au. Retrieved 13 June 2009. 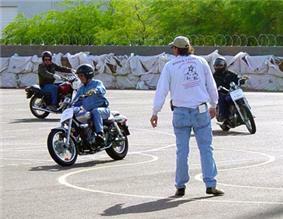 ^ "Motorcyclist Education Training And Licencing (METAL)". Northern Territory Department of Planning and Infrastructure, www.ipe.nt.gov.au. Retrieved 16 May 2007. ^ "A Three Dimensional Analysis of Riding Posture in Three Different Styles of Motorcycle" (PDF). ^ Duglin Kennedy, Shirley (2005). The Savvy Guide to Motorcycles. Indy Tech Publishing. p. 75. ^ Stermer, Bill (2006). Streetbikes: Everything You Need to Know. MotorBooks/MBI Publishing Company. p. 16. ^ Stermer, Bill (2006). Streetbikes: Everything You Need to Know. MotorBooks/MBI Publishing Company. p. 10. ^ Duglin Kennedy, Shirley (2005). The Savvy Guide to Motorcycles. Indy Tech Publishing. p. 71. ^ Judy Dahl (September 2007). "Baby, You Can Drive My Vespa". Madison Magazine. Archived from the original on 28 January 2010. Retrieved 8 August 2008. ^ "Vespanomics – Vespa Economics". Piaggio Group USA. Retrieved 8 February 2010. ^ Umbra Fisk (28 May 2003). "On motorcycles – Ask Umbra". Grist. 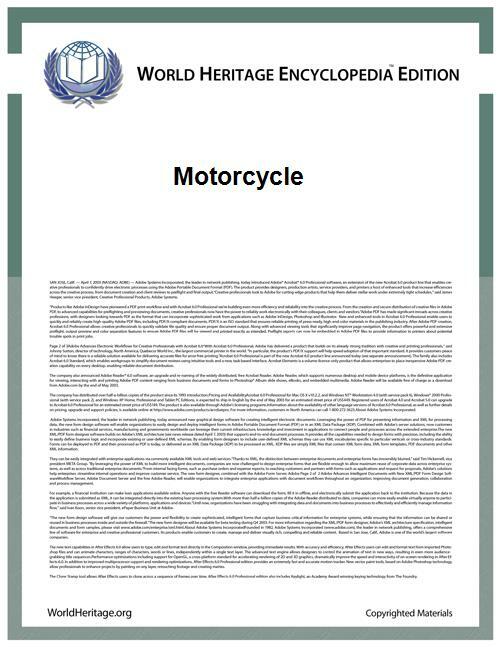 ^ "Certified Highway Motorcycle Test Result Report Data (2007)". However, a motorcycle's exhaust emissions may contain 10–20 times more oxides of nitrogen (NOx), carbon monoxide, and unburned hydrocarbons than exhaust from a similar-year passenger car or SUV. This is because many motorcycles lack a catalytic converter, and the emission standard is much more permissive for motorcycles than for other vehicles. While catalytic converters have been installed in most gasoline-powered cars and trucks since 1975 in the United States, they can present fitment and heat difficulties in motorcycle applications. Motorcycles and scooters' low fuel consumption has attracted interest in the United States from environmentalists and those whom increased fuel prices affect. Piaggio Group Americas supported this interest with the launch of a "Vespanomics" website and platform, claiming lower per-mile carbon emissions of 0.4 lb/mile (113 g/km) less than the average car, a 65% reduction, and better fuel economy. Sport – the rider leans forwards into the wind and the weight of the upper torso is supported by the rider's core at low speed and air pressure at high speed (e.g., above 50 mph (80 km/h)). The footpegs are below the rider or to the rear. The reduced frontal area cuts wind resistance and allows higher speeds. At low-speed this position throws the weight of the rider onto the arms, which can tire the rider's wrists.